The roof heating elements are also self-regulating, meaning that when the ambient temperature rises, the electrical resistance increases and the consumption of electricity decreases. 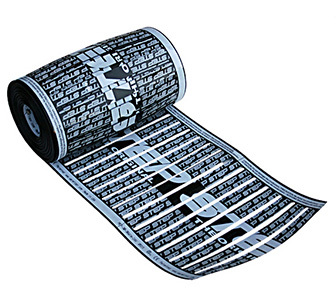 This prevents the element from overheating and ensures energy-efficient operation. The automated system features an activation device/snow sensor that detects weather conditions to automatically trigger the control unit when conditions warrant. The sensor most commonly used for ProLine Radiant roof heating systems is the durable aerial-mount snow switch. When the temperature is below a set point (usually 39°F) and precipitation is present, the snow sensor signals the controller which then sends power to the heating element, activating the radiant snowmelt system to heat the roof. The low-voltage system also utilizes transformers that “step down” high voltage to low voltage (60 V or less) while controlling a specific section of the roof heating system. A favorite feature of the transformers is that they operate quietly - unlike other types of low-voltage roof deicing systems. A controller monitors the power and output to the heating element to ensure safe, accurate, and efficient performance. 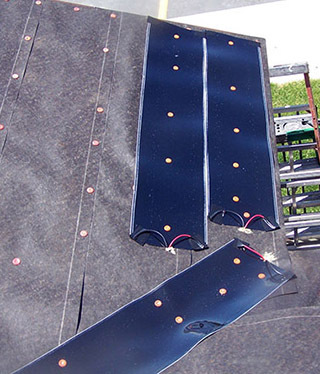 The low-voltage roof deicing system is ideal for a variety of roof heating solutions. The systems can be easily installed to heat entire roofs, roof valleys and roof edges to eliminate ice dams from forming. ProLine roof heating systems have proven to be reliable, easy to install and energy efficient. The thin, flexible heating element is polypropylene fused during fabrication to ensure that the panel is protected against UV rays and other potential physical damages. 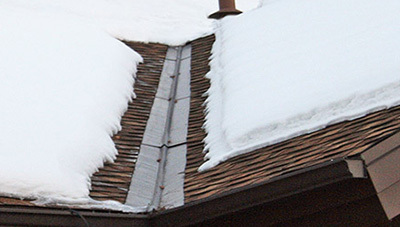 This ensures effective, reliable roof heating to help protect your roof from the costly effects of heavy snow and ice damage. ProLine Radiant includes free installation training and expert installation support as well as industry leading products and support services. For more details or information about ProLine Radiant's snow melting solutions, contact us at 866.676.9276 today.